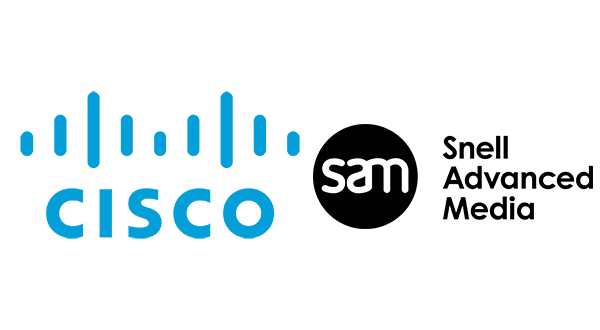 Snell Advanced Media (SAM) is collaborating with Cisco to integrate Cisco’s IP Fabric for Media solution into its existing IP networking solutions, providing the broadcast sector with ideal IP solutions. As part of the joint activity, both companies commit to offering an integrated IP networking solution to enable a smooth transition towards IP. SAM will design-in Cisco solutions with professional services as part of its IP solutions and resell the Cisco solutions, to include Cisco Nexus 9000 series switches and Data Centre Network Manager (DCNM) software-defined networking solution, as part of its IP global go-to-market strategy including studio, playout, OB trucks / fly-packs and remote production. SAM’s extensive IP product portfolio includes baseband conversion to/from IP, standards conversion and signal processing, production switchers, live replay and multi-viewers including a unified control and monitoring solution. SAM recently completed global IP projects with UEFA as well as deployments with BCE, Timeline Television and Vista Studios.